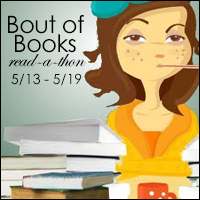 Welcome to Bout of Books 16! Baggins, rainbow haired, bubbly, geeky bookworm. Here's my actual post. I had a bit of fun finding graphics to go with the words. Potterhead. Animal lover. Time waster. PURPLE! I despise writhing in my romances. Just your average geeky bibliophile tumblrian. Introverted bookish homeschooling geek. Aka, Batmom. Hoban Washburne meets both Gilmore girls.